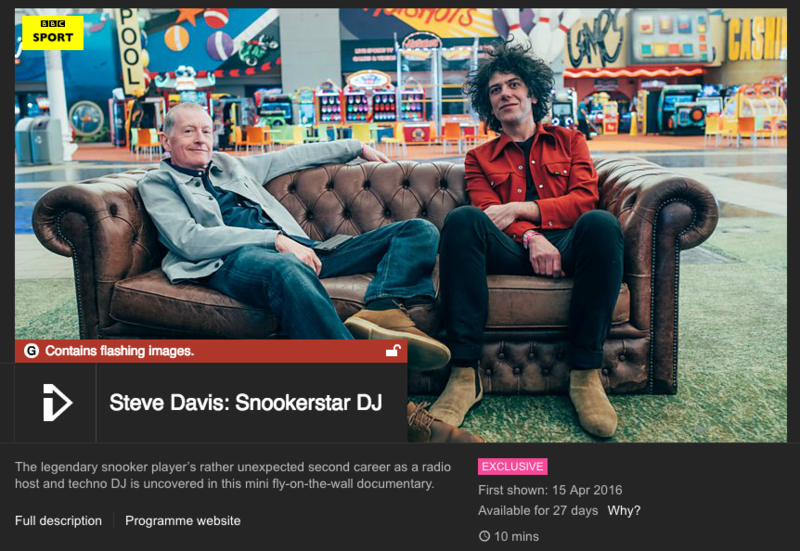 Several years ago I pitched the idea of a documentary about Steve Davis and his love of alternative music. If you don’t know, he likes extremely alternative music, not the stuff on Radio X masquerading as alternative but tunes you might find on Stuart Maconie’s Freak, or indeed Freakier, Zone. I always thought it would be fun to get fellow match room mob players and Barry Hearn to listen to the likes of Magma, the French prog rock band that Davis brought over to play in London in the eighties. In a meeting a Channel 4 commissioning editor said, ‘Are you seriously pitching me Steve Davis on Avant Garde Rock?’ And I said, ‘Yeah, kinda.’ And he laughed me out of the room. Well, who’s laughing now someone else has made this, a lovely short documentary? My connection with this tale is through the brilliant musician, Kavus Torabi (that’s him on the right), whose current outfit Knifeworld creates incredible music – they’ve just released a new album, Bottled Out of Eden. I went to school with Kavus and aged around nine or ten managed his first band, Unarmed Combat, a beat combo that sadly never recorded a thing or played any gigs. My stint in management proved that I was never going to make a great svengali figure as I gave the three members 5p each for turning up to a rehearsal, instantly clearing out my pocket money for a week. The management is supposed to screw over the artists not fund their profligate lifestyles before they’ve even got a record deal and had a hit. Anyhow, the whole Steve Davis and his love of interesting music thing has been covered in the press a bit recently and I’m delighted someone picked up on it to make this short, which also features Kavus. Have a watch, it’s sweet.